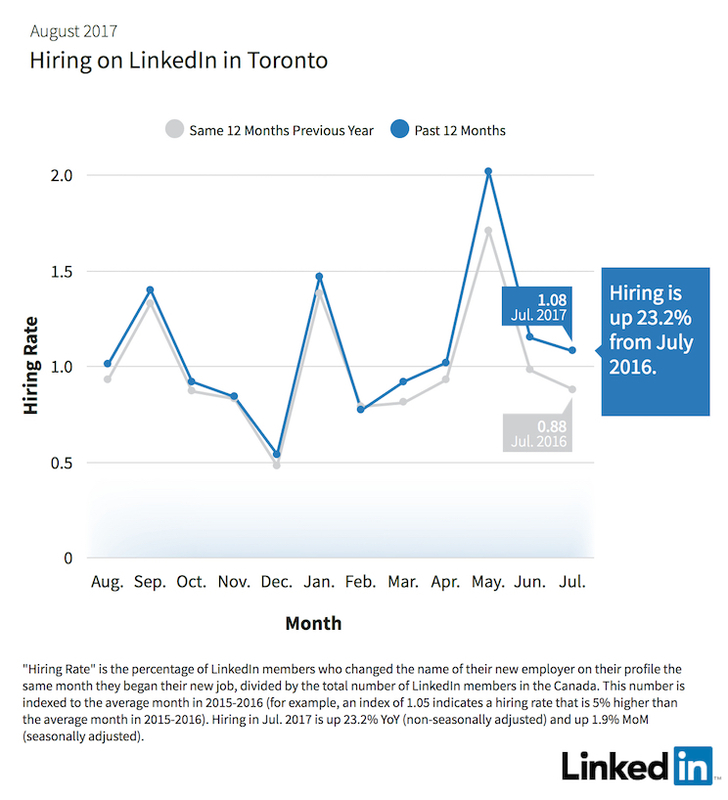 Toronto employers continued to add more workers to their payroll in July, as hiring across Canada was up 23.2 percent from the same time last year, according to the August LinkedIn Workforce Report. 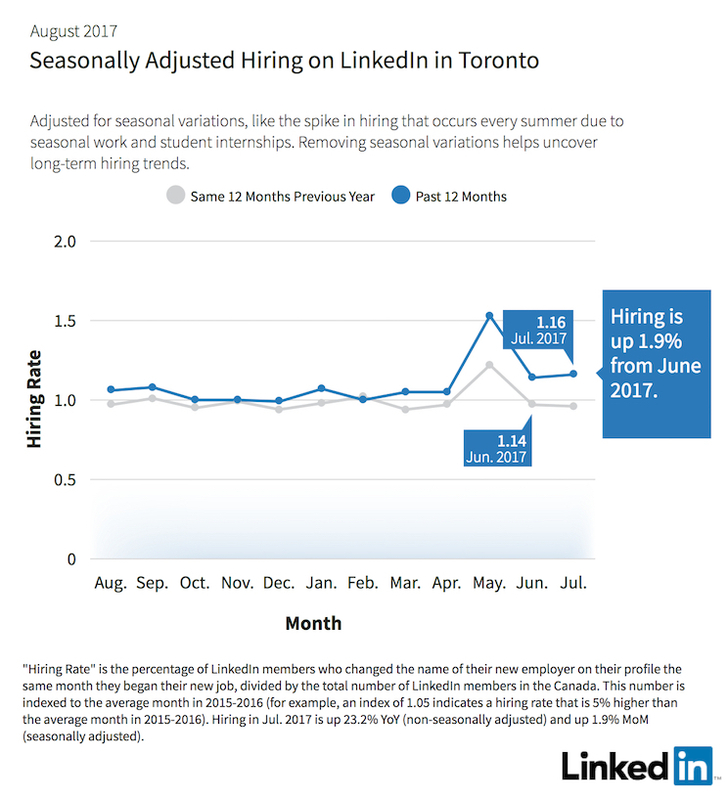 Seasonally-adjusted hiring (hiring that excludes seasonal hiring variations – like companies hiring less in December due to the holiday season) was 1.9 per cent higher in July than in June. Influx of workers from across Canada and the Middle East: Toronto gained the most workers in the last 12 months from Montreal, United Arab Emirates, London, Ontario. Since the May GTA Workforce report, London replaced Kitchener and Calgary for talent inflow into the region. Worker exodus to the US: The San Francisco Bay Area, New York City, and British Columbia — replacing Los Angeles in this quarter’s Workforce Report — top the list of cities Toronto has lost the most workers to in the last 12 months. The LinkedIn Workforce Report helps workers better navigate their careers by highlighting workforce trends in the GTA. Insights include whether hiring is up, down, or flat, which skills cities need most, and where workers are moving to and from. We will be rolling out the LinkedIn Workforce Report to cities across Canada over the next year.